A journal documenting all of my creative projects: making couture wedding gowns for brides in NYC, and whatever else I can carve out the time and patience to create! If you know me you know that I love making cookies and I love Christmas, which naturally means that I really love making Christmas cookies! 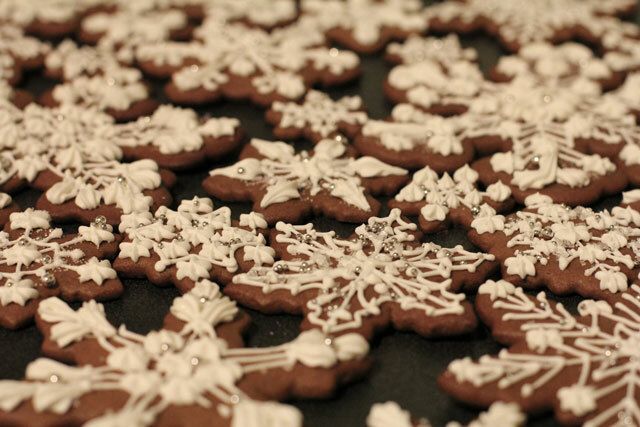 Over the last few years it’s become a tradition of mine to make snowflakes out of gingerbread, and pipe them rather ornately with royal icing. 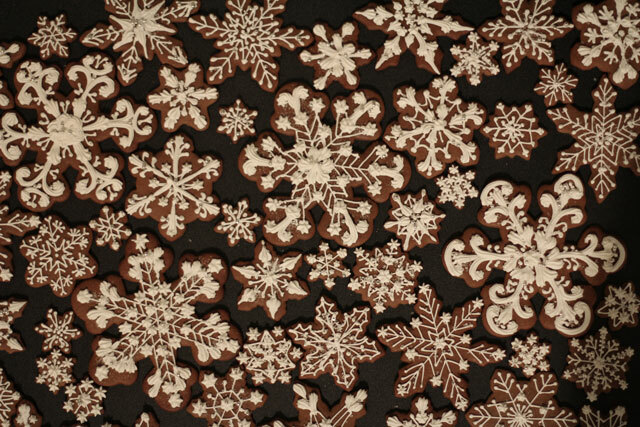 I like to call them Rococo snowflakes, but they could just as easily be Baroque snowflakes, and some of them could even pass for Art Deco snowflakes, but I digress. What’s more important is that it’s kind of like doing embroidery but with something sweet and edible and I have way too much fun doing it! I’ve been hearing for years from the ecstatic recipients of these cookies (I’ve only ever made them for my family and friends) that I need to make them available to the rest of the world, so this year I asked my friend Amy Noelle, who owns Sugar Flower Cake Shop and makes wedding cakes decorated with beautiful sugar flowers, if she would like to team up and help me bake, decorate, and sell my gingerbread snowflakes this holiday season. She thought it was a great idea! 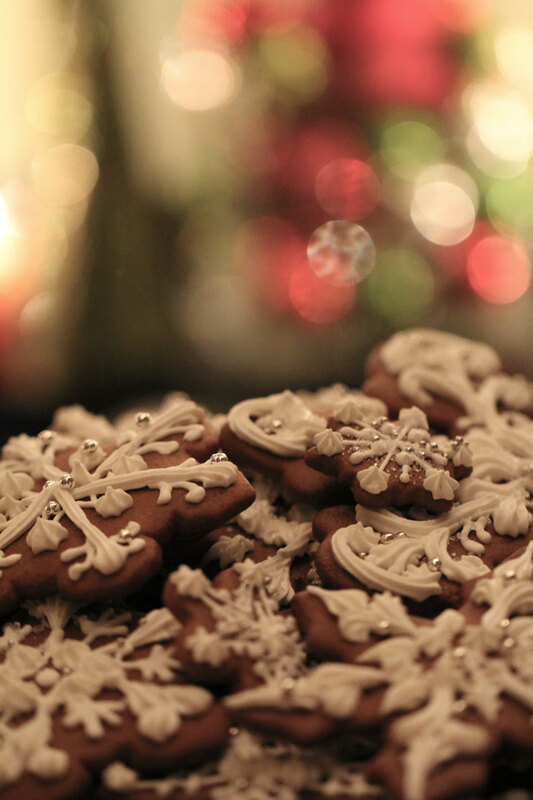 Now everyone will have a chance to find out for themselves if these cookies are indeed too pretty to eat (trust me, they are not–they taste just as good as they look)! You’ll be able to pre-order our first batch of cookies through Amy’s website by the end of the month, so stay tuned for details. And be sure and follow both of us on Instagram, as we’ll be posting lots of photos as we go… Let it snow, let it snow, let it snow!